An automatic task manager integrated into your customer management is the best way to ensure quality service. Ensuring your service will control your reputation. Automating tasks gives management the best system to make and carry out decisions. One-click agile and simple task creation and assignment. Use the quick button to act on customer opinions and maintenance, reception, customer care, sales, and management operations. One click is all it takes to assign a task to any person on your team. One screen to track task completion by department, manager, or deadline. 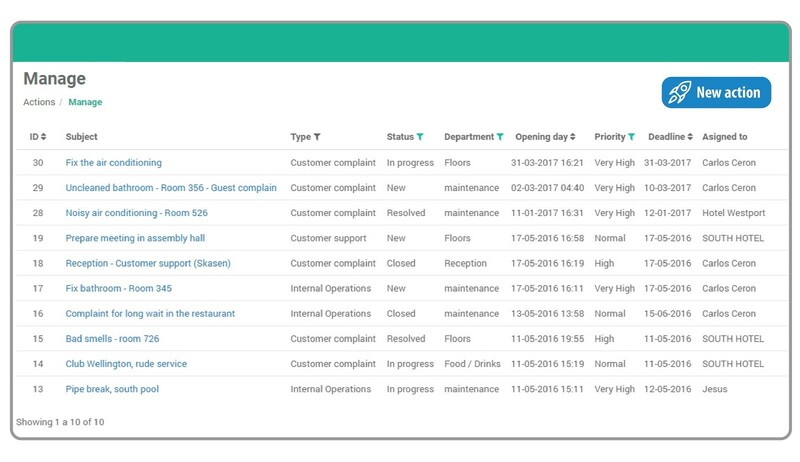 Task status alerts are just what you need to control your operations. Delegate in your team without losing control over management.